Disadvantages of Fixed Income Exchange Traded Funds | Lysander Funds Ltd.
Investors seeking liquidity and low management expense ratios may get a lot less than they expect in Fixed Income Exchange Traded Funds (ETFs). By necessity, passive indexing for fixed income is much less passive than indexing for equities. A share of IBM is likely to be the same in twenty years. In comparison, bonds are “shape-shifters.” After four years, a five-year bond becomes a money market bond. Many bonds are subject to call provisions, meaning that if it is to the issuer’s advantage (or the investor’s disadvantage), they will be refinanced. In the “covenant-lite” issuing periods of 2007 and 2013, the security envisioned by investors may be severely compromised if new debt is issued subsequently in a higher security position. In essence, there will be an active investment management function that can’t be avoided. Rigorous passive indexing simply transfers the investment management responsibility to the creator of the index. Most indexes are weighted by market value, which means that the entity that issues the most debt will have the highest weight in the index. By definition, a Global Fixed Income ETF will hold more of the most highly indebted nations – a contradiction of the general rule that good investments are those of scarcity. Who Uses ETFs and Why? Many investors use ETFs as instruments to allow for easier and more flexible asset allocation. For an investor who decides to switch 20% of his portfolio from stocks to bonds, a few clicks of the mouse can accomplish this in ‘ETF-land.’ Unfortunately for ETF investors, this forces the manager of the ETF pool into highly liquid assets since he can never know when a withdrawal will occur. As an example, government bonds are the most liquid fixed income investments, and of course, have the LOWEST return. The most cursory examination of financial markets shows that prices fluctuate widely based on alternate waves of optimism and pessimism. The price of bonds changes less than those of stocks, but significantly nonetheless. The unfortunate corollary is that funds will flow into ETFs after markets have risen strongly and withdraw near cyclical lows. This plays particularly badly in fixed income investing since lesser quality credits can most easily issue debt when optimism reigns – exactly the time when ETFs will receive the biggest inflows. When funds are withdrawn during the inevitable downturn, the manager will be forced to sell when the prices on those lesser quality credits are falling more rapidly (or because there may be no willing buyers). Depending on how narrowly defined the mandate of the ETF is, the likelihood for sharp fund flows changes; the narrower the definition, the higher the likelihood of a sharp flow fund. A fund that concentrates solely on “Junk” may experience massive inflows from investors desperate for yield, and may be withdrawn down to zero when the worm turns: a formula for very volatile investment disaster! The actual effect of these considerations is unpredictable, since it is a combination of a function of the market environment, the fund mandate, the skill of the manager, and the buying and selling discipline of the purchaser. For the most part, every investor should know that Fixed Income ETF investing is different from the broad-based equity index tracking structures that initiated the ETF boom in the early 1990s. Robert Swan joined Canso Investment Counsel in 2000 as a Vice President and Portfolio Manager. 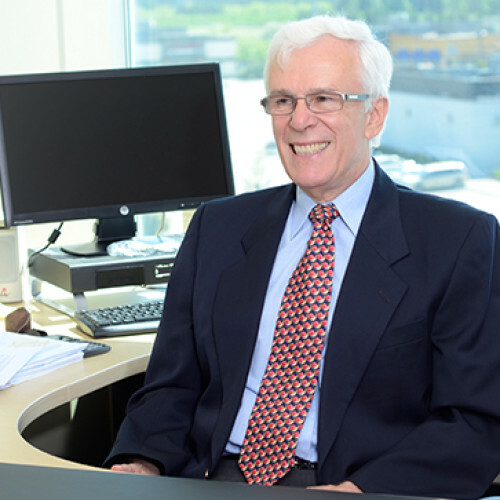 Prior to joining Canso as an original partner, Robert was a major contributor to making TAL one of Canada’s largest and most successful money managers. He has also held positions in Canada Trust Investment Management, most recently as the Chief Investment Strategist, and was the Vice President and Director at Acuity Investment Management. In 1991, Robert was one of two entrepreneurs responsible for the creation of the Clean Environment Funds.